We love wine. We love other alcohol too, but since wine figures large in Deb Harkness’ All Souls Trilogy, we figured it was only right to have a wine note for each podcast. And so we bring you Episode 6 Wine Note: Smelling Wine. In each podcast episode, we bring you a note about wine because wine is a main form of sustenance for vampires when they’re not drinking, you know, blood. It also happens that Deborah Harkness, Renaissance woman that she is, is an award-winning wine blogger and wine enthusiast. If you’ve never read Deborah’s wine blog, “Good Wine Under $20,” you should have a look. While she doesn’t write it now, it is a reminder that apparently there’s nothing this woman can’t do. For this episode, we broke from exploring a wine varietal to keep with the scent theme. But before our sommelier regales you with the art of smelling wine, we need you to see this. 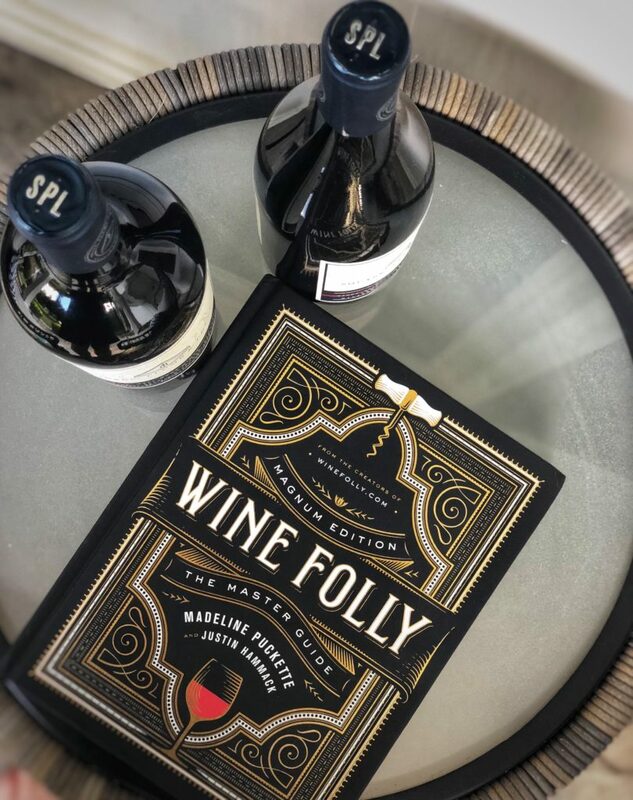 Behold the magical beauty that is Wine Folly: Magnum Edition: The Master Guide. We couldn’t agree more with the book’s value proposition: If you love wine then you deserve to know more about it. Opening the book is like uncorking a barrel of well-aged and well-crafted wine knowledge in visual form — everything from what grapes produce what varietals of wine and where they’re found around the world to how to pair food (including bacon!) and wine to how to spot the right color shade of wine for you and so much more. This gorgeous, colorful book makes the perfect companion for all levels of wine lovers — from the occasional, novice drinker who just wants to know if there’s cheese to go with the wine to the professed wine enthusiast (who, to be clear, also generally likes cheese, too). 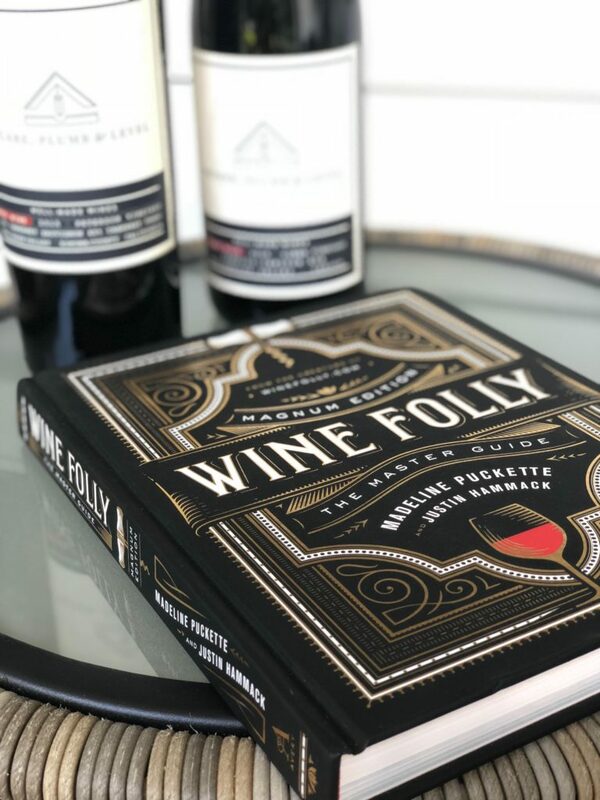 Thanks to our friends at Avery Books for sharing a copy of Madeline Puckettte and Justin Hammack’s latest wine guide with us in advance of its September 25th release. You can order a copy here. This week we’re talking about smelling wine, which was our wine note in Episode 6: The S Word (which you should obviously take a moment and listen to if you haven’t and are intrigued by the idea of scents and their role in the All Souls Trilogy.). Anyways, yes – smelling, not necessarily tasting. If you are out at a restaurant and you see people putting their noses in a glass of wine and you kind of chuckle and laugh and maybe point at them, I promise – that’s a real thing. Whenever you’re out with some friends and order a bottle of wine, definitely stick your nose in the glass. Smelling wine outside of just seeing it being poured is the strongest sense of whether or not that glass – or bottle – that you’re about to enjoy is going to be enjoyable or not. Stick your nose in the glass of wine, then twirl it around, let some oxygen get in there to play around and get married with that liquid. Then put it back up to your nose. What does it smell like? Do you smell any good tropical fruit flavors? Any dark fruit flavors? How about any oak influence? Pick up on any herbal flavors, like sage or lemongrass? This will all help tell you whether or not that’s going to be a great glass of wine from that bottle. If you’re smelling something that smells like wet basement or wet cardboard that’s been left out for days, well, that may not be a great glass of wine. Smelling wine is the way you can first tell that the combination of science and art is going to be good or bad when it comes to that bottle. So, next time that you enjoy a glass of wine – be it from a twist-off bottle, a corked bottle, or a canned wine – put your nose in that glass. Or, put your nose in that can. See what you think. Let your nose be the guide. If you like the way it smells and you like the way it tastes, chances are you’ve got a great glass of wine in front of you. If not, send it back, don’t feel like you’re a snob. You know your wine. Nikki: I try. I really do, but my nose (which only works at 50% efficiency on the best of days) rarely picks up the smell of anything specific when I go nose-first into a glass of wine. I want to smell the berries, the honeysuckle, and the field from 1520 but I usually end my sniff with nothing more than an affirmation that yes, indeed, I shall drink this glass of wine. However, there is a specific brand of port (fortified wine) that I love because it smells like caramels. I haven’t had a sip of that port for months but I can, even now, remember its smell and it makes my mouth water just a little bit. Scent, it truly is powerful. Ashley: Confession – I don’t smell wine with any sort of look of refinement or grace. In fact, I often tend to resemble an overanxious dog when doing it and have been known to accidentally snort wine up in my nose in the smelling process. But, what our sommelier says is true – it’s fascinating to detect the unique fragrances that vary from one glass to the other, white to red, oak to stainless steel, etc.. But to be clear, in the end, I always drink it no matter what. Janet: When it comes to smelling wine I’m afraid my abilities are fairly limited. Most red wine, for instance, smells… um… red to me. *Header photo courtesy of Winestitute.